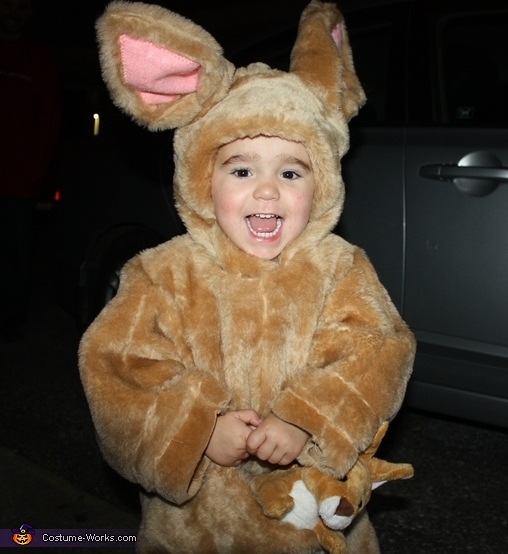 This homemade costume for babies entered our 2012 Halloween Costume Contest. Isaac is a 2 year old little kangaroo. His Nana made his costume for him.